It is well known that the unemployment rate is at a record low and the economy is healthy. While smart business leaders are focusing on growth due to these positive indicators, there is a bigger challenge these leaders will need to tackle: How to hire the best talent to help their organizations grow. Engage2Excel’s 2018 Trendicators Insight Report addresses the challenges and provides some ideas from five expert recruiters — Jenifer Holljes, Marta Kingsbury, Jennifer Krause, Sal Loukos, and Duncan Taylor — on how to stay ahead of the game. All five experts agreed that successful recruiting strategies involve high-touch relationships with both hiring managers (HMs) and candidates. Recruiters need to work closely with each HM, such as directly participating in annual workforce planning, to effectively understand their needs and challenges. When a new search opens, spend time with them to keep that understanding fresh. On the flip side, education is critical. Share your knowledge of the labor market dynamics and set clear expectations. This may include getting clarity on which requirements are hard and fast, and where there is flexibility. Another important point is to ensure HMs understand they need to continue courting candidates throughout the process — candidates are still vulnerable up to a year after hire. 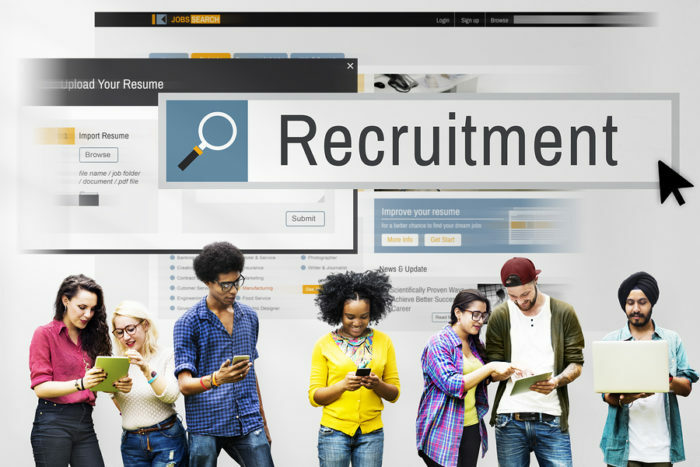 Talent acquisition is starting to take a few cues from marketing: Today’s successful recruiters are “selling” opportunities to appeal to the best candidates. All the more reason to learn from the HMs and employees what it’s like to work at the organization. Goals, challenges, culture, and team dynamics are just some of the points that make one job different from another. Traditional job descriptions don’t make the mark these days. Crafting a message that differentiates one job from all the others out there is how to stand out. The messaging should focus on: the opportunity to make an impact, professional development and career growth, along with company culture, values, and mission. But don’t oversell. Each role has features that will be attractive to the right candidate, along with aspects that some candidate won’t be interested in. For candidates at mid- to senior-executive level, culture and engagement are more important today than in the recent past. In fact, the 2017 Job Seeker Nation Study indicates that 48% of job seekers would be open to a 10% pay cut to find a job that piques their passion. If executive candidates are open to a change, it’s likely because they are not fulfilled in their current role — frustrated by red tape, stifled in creativity, unsure of growth opportunities. Here you can leverage your insider insight to offer what a candidate’s current employer is not delivering. Regular communication to the candidate will keep them engaged. It also alerts you of potential pitfalls and opportunities that come up during the hiring process. For example, if a candidate advises you they have received another offer, you can work with the HM to close the deal more quickly and avoid a back-and-forth negotiation. Technology can play a large role. Smart recruiters use a relationship management tool (yes, like Salesforce) to stay in touch, and this allows for personalizing each interaction with specific candidate information. Personalization promotes engagement, and engagement begins before the hire. It helps appeal to a candidate and begins immersing them into your company culture. According to our 2017 Engage2Excel Trendicators Report, 81% of millennials believe that recognition during the pre-hire process is either Important or Very Important. Today’s candidates are better informed and have many options. Companies that succeed in finding the best candidates are transforming the candidate experience to ensure it engages candidates and moves them process smoothly and quickly. It is essential to see the experience from the candidate side so things can be improved if needed. The candidate experience is an extension of your brand, and even something as simple as failing to follow up with a candidate can tarnish that brand. So, don’t be afraid to solicit feedback on this experience form some of your new hires. My final thought: Possessing flexibility and adaptability to a constantly changing talent market will help any recruiter excel over others who continue to use the same old recruitment processes. Darren Findley, a recruitment process outsourcing (RPO) industry veteran. He brings over 32 years of recruiting and staffing solutions experience to Engage2Excel, where he leads our recruitment solutions team. Darren most recently worked at AMN Healthcare, as vice president and general manager of RPO. Prior roles included vice president and managing director of recruitment solutions at IBM/Kenexa, where he led recruitment-outsourcing programs for clients, including UnitedHealth Group, US Steel, Flowserve, Allstate Insurance, Express Scripts and Sprint PCS. He holds a BBA from Harding University.